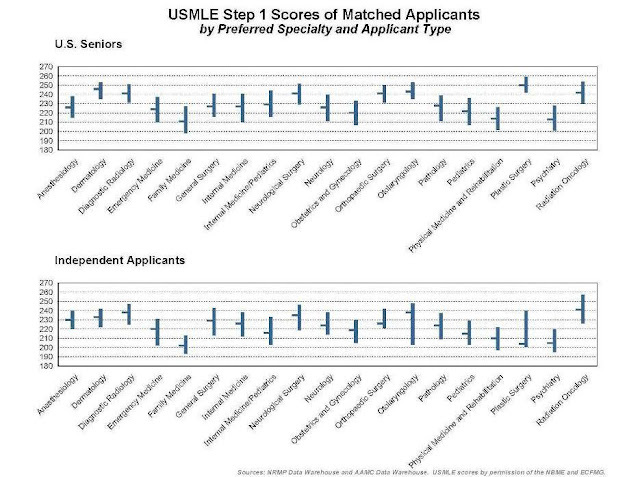 4 comments to ''What do i need to score on USMLE [2011 survey]"
This blog is great thanks for the posts! The national average goes up 1 point every year. This score chart is not always on point. 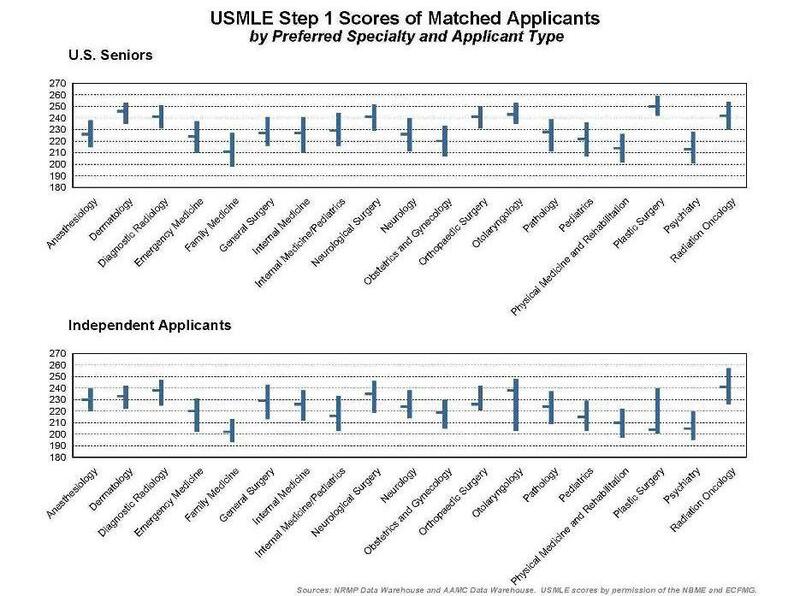 USMLE scores are just the screening process, a high sore does not guarantee you residency.